The average time taken to complete a house sale in Bury is now a lengthy 19 weeks. But – if you know how – there is a way of selling your house and getting the cash in your bank account in as little as 7 days. Here we’ll look at the different methods of selling your house whether you’re willing to wait 3-12 months and get full market value or if you would like to get the quickest sale possible and like to sell it in just a few days from now. First up we’ll look at easy fixes that can help you sell your house quickly if you’re already on the market for sale. Next, we’ll look at the method of sale and actual solutions to get your house sold and quickly. Getting your asking price correct is a delicate balancing act. If you want to get the highest price it will likely take longer. If you price keenly you’ll likely sell quicker. A good approach is to get valuations from several different places. 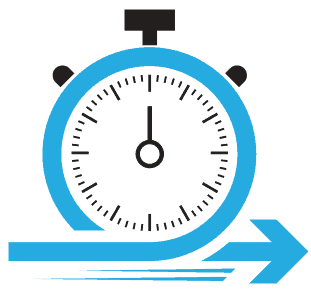 Then take account of how quickly – or how slowly – each method is likely to take to find a buyer. Next, is your house ‘sale ready’? First impressions count is a saying that could have been invented for house selling. If your property doesn’t look good from the kerb people might not even come in to view it at all. If it doesn’t look good from the first steps inside they might discount it immediately. According to Zoopla around a quarter of people decide to buy a house within ten minutes or less! Some things to think about include: Tidying the garden, especially the front. Maybe adding some seasonal plants or shrubs in tubs. Dealing with those maintenance jobs you’ve been putting off, like flaking paint or a sticking front door. Depersonalise and declutter, to make your house look bigger. 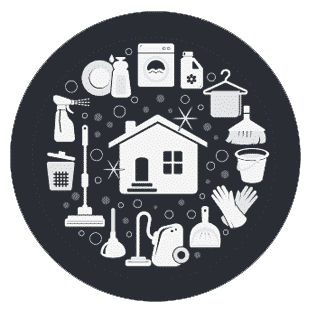 Keep your house sparkling clean at all times so you’re always ready for viewers. 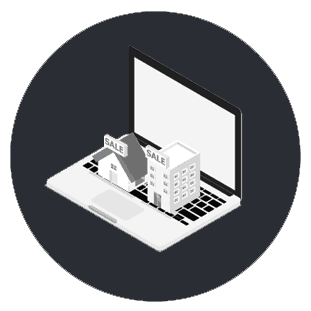 Online estate agency Tepilo claims that 98% of people now start their house hunt online. So it’s vital that your sales particulars – and today that means your online listing first and foremost – really shows your house to its best advantage. Make sure there are lots of photos. The more the better. And make sure they’re good quality and taken in good light. Make sure your listing mentions every possible feature your house offers. Plus, add some extra information about the area and why you like living there. This adds personality to bare listings of rooms and their measurements and helps your listing stand out. Which is the best and fastest way to sell? Using an estate agent – whether a traditional offline one or the newer kind of online agent – is probably the most popular way of selling a house. For that reason, it can’t be all that bad. But – the main issue to consider with estate agents is that they vary a lot in the methods they use to sell a property. How long your house takes to sell, and how much you get for it, could depend on how much your estate agent wants to sell it (or not) – and not on how quickly you want to sell it. The extra snag is, you won’t find out how good (or bad) they are until it actually sells! Assuming, that is, that they sell it at all: This critical report claimed that in 2016 online agent Purplebricks only sold around half of its properties within 10 months. Downsides to consider with auctions are that you’re gambling with your sales price to some extent. You can never be sure what bidders will pay, or even if anyone will bid at all on the day. There will also be auctioneer’s fees to deduct from the hammer price. Just like part exchanging a car, a builder or developer buys your house and uses it as payment towards the one you buy from them. Part exchanging is good insofar as it guarantees you a sale at a fixed price. The main snag is that it only works if you want to buy a house as well as selling one. Also, as part-exchange is normally only offered with new build houses you might have to wait some time until the new one is built and the sale goes through. Quick sale house buying companies are a newish arrival on the house selling scene. The idea is simple: Once you contact them they agree with you, firstly, a fixed price for your property, and secondly, a timescale for the sale where a guaranteed amount of money will reach the seller’s account by a certain date. Once you accept their offer – which can sometimes be made in as little as 24 hours – you’re guaranteed to receive the agreed amount of money within an agreed period of time. Other advantages of using quick sale house buying services are that you don’t need to get your house ‘sale ready’. Most house buying companies aren’t bothered if your house needs repairs or redecoration. You don’t have to put up with viewings (and viewers who don’t turn up). It’s completely confidential – no one will even know you’re selling, not even the nosey neighbours. The buying company might also be able to include settling your costs and fees within the deal. With quick sale house buying companies, you can choose what works best for you. If you need to sell your house quickly, we can help straight away. 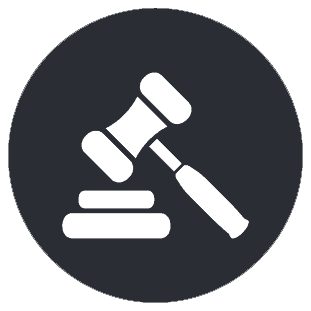 Contact us about our Property Auction Service or about our Fast Sale Service for more information. Through this service, you will be able to sell your property in 28 days or 7, depending on your ambitions and circumstances. You may even be eligible for a cash advance while the sale goes through.